Phillip Cunningham describes himself in the year of 1989 as someone caught between China's "inside" and "outside" communities, when he lived in a dorm at Beijing Normal University designated for neither domestic or foreign students. At that time, he was officially a graduate student at University of Michigan studying modern Chinese history. Yet he was not a student at Beijing Normal or doing much research for his thesis there. Rather, he spent most of his time working, according to his biography, "extensively in China since 1983, first as a tour guide, interpreter, and cruise director on the Yangtze, and later as a teacher, media researcher, and freelance journalist." During those six years, he had learned his way around as well as speaking fluent Chinese. (He also speaks French, Japanese, and Thai besides his native English.) His personal experience in China was not all that typical either -- he was "twice arrested for activities incompatible with being a foreigner and thus endowed with a thick security file," for "pushing boundaries and breaking little rules." In 1987, he staged a rock version of the song East is Red in a new year celebration at Beijing Normal which was censored from broadcasting. But for those who are interested in the history of the 1989 Chinese student movement, Cunningham will be forever remembered as the American youth who happened to have taped Chai Ling's "Last Word" video speech, a historical record that has ignited much controversy as it shed lights in the inner psych of one of the most important leaders of that movement. In the April of 1989, as the student movement broke out, Cunningham was in London working on a project filming the debut performance of rock stars Cui Jian and Liu Yuan at the Royal Albert Hall. After returning to Beijing, he quickly became a reluctant participant in the student marches of May 4 and May 10, urged on by his Chinese friends. Soon, he accepted an offer from BBC, for $100 a day, to help them cover the upcoming Sino-Soviet summit which was eventually overshadowed by the student movement. He struggled with his role as a journalist/interpreter while being a deep sympathizer of students. When students gathered at Beijing Normal University to launch the hunger strike, he was there with a BBC crew to record that moment of history. 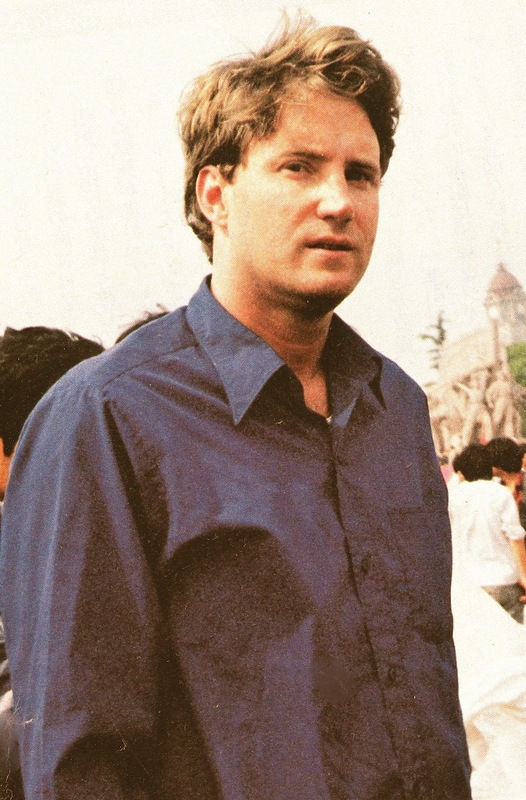 It was with a BBC crew at Tiananmen Square when Cunningham first met Chai Ling by the end of May, just as Chai Ling was privately contemplating an escape. According to Cunningham, Chai Ling inquired him about the rumor that the British Embassy in Beijing was offering refugee protection to student leaders and told him she had made plans to leave Beijing. Chai Ling eventually changed her mind and remained at Tiananmen Square till the end. In the evening of June 3, as troops were closing in, Cunningham found himself on the Changan Ave as both a guide and a guard for a BBC crew. They tried to film the chaotic scene as the first pair of tanks charged in. At one instant, Cunningham joined the crowd to dismantle fences to construct barricades. He even threw a rock at a tank in the heat of the moment. Moments later, he also became an eyewitness of a group of students' courageous effort to save the soldiers from a burning tank. Cunningham and his crew eventually withdrew to the safety of his room at Beijing Hotel before the main troop's arrival. They spent the night on a distant balcony unable to disciple definitely what was transpiring in the square down below. Cunningham spent the immediate years after 1989 working for various media at Hong Kong and Japan. He eventually returned to China a few times and found a country vastly different from that in 1989. 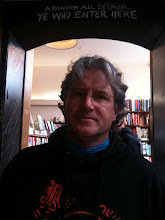 He first published his 1989 memoir in book form as Reaching for the Sky in 1999. The same material was later republished, in a much improved version, as Tiananmen Moon in 2010. Currently, he writes a blog at Frontier International.